Come and visit Sydney Book Art Group’s exhibition at Chrissie Cotter Gallery in Camperdown. The show runs for two weeks, opening on Wednesday 27 June 2018 and running until Sunday 8 July. On Sunday 1 July we are hosting a discussion with four guest panellists—Sara Bowen, Liz Jeneid, Caren Florance and Monica Oppen. Attendance is free, but places are limited so please register to confirm your seat. You can do that here. 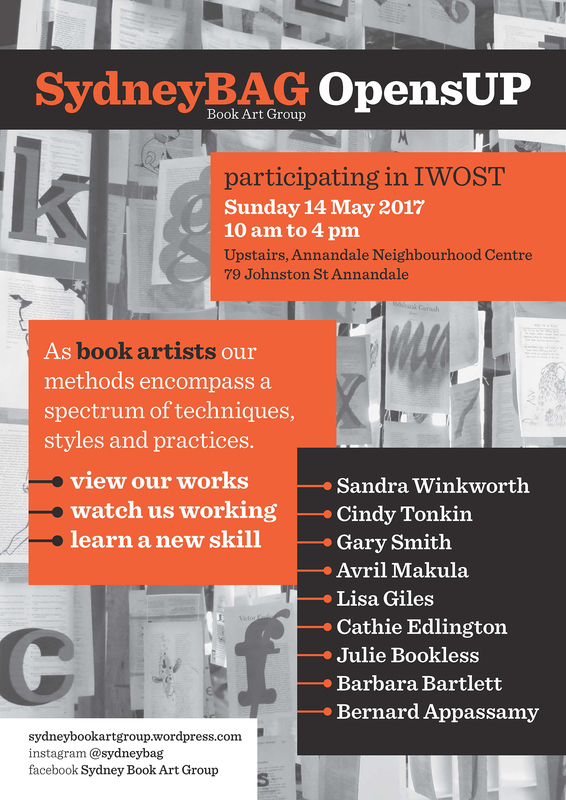 Or join us for a workshop with Lisa Giles and Julie Bookless, who will show you how to fold and construct in ways you had never imagined. You can find details here.